VMS Group carries out full-service solution including engineering, purchasing, installation and commissioning for National Geographic Orion. 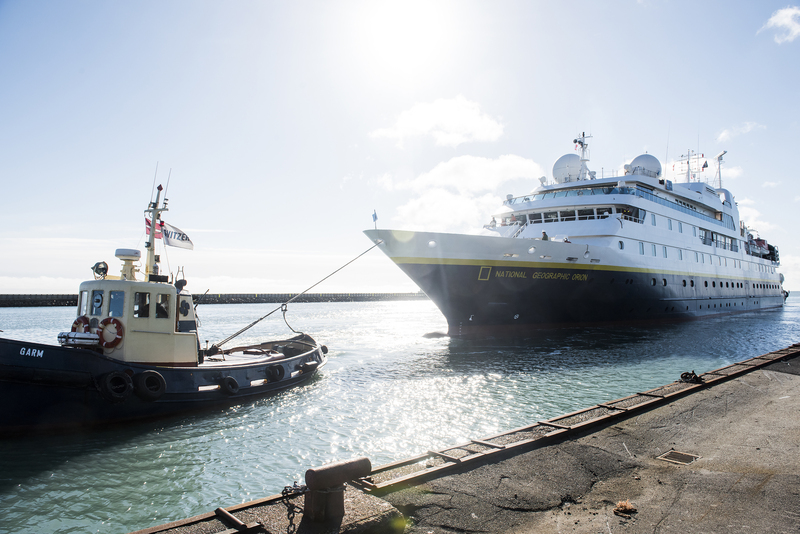 Between Christmas and New Year 2016, the Bahamian flag cruise ship National Geographic Orion experienced engine problems on its way from the South Pole to Ushuaia in Argentina. With her ”take me home function”, the vessel was able to arrive safely to Ushuaia. VMS Group was contracted by the owner and through their Brazilian company immediately dispatched within 48 hours despite the holidays, a supervisor onboard to carry out inspection and reporting. In order to minimize the out of commission period of the vessel, the only option available was to replace the damaged engine with a new engine block and crankshaft. 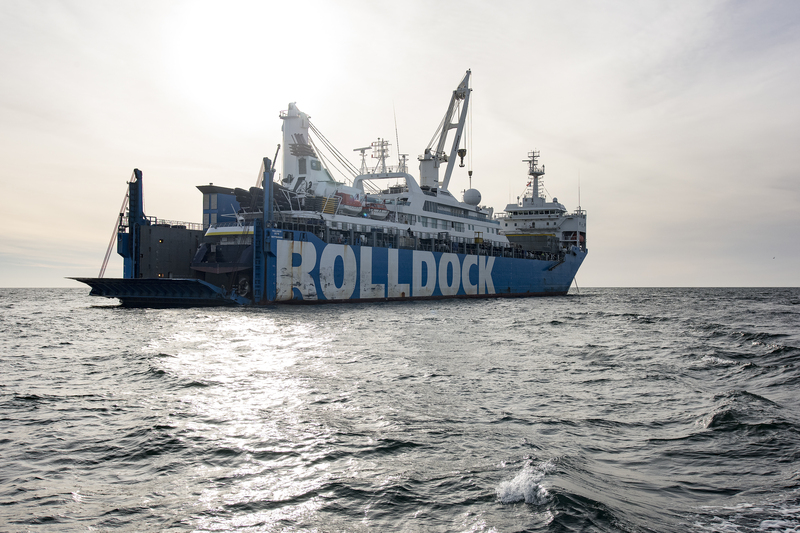 National Geographic Orion was transported with a heavylifter to Frederikshavn, Denmark. 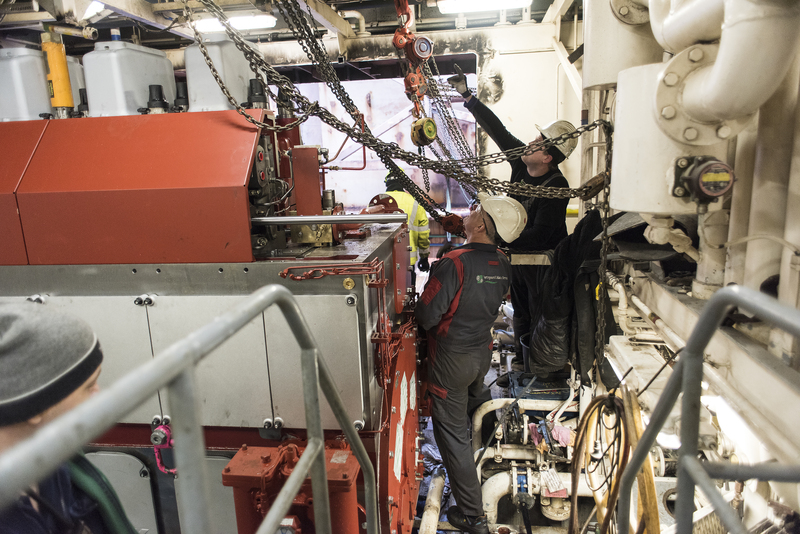 Four engineers from VMS Group sailed with the ship to Frederikshavn in order to dismantle the engine and related equipment to be ahead of major shipyard work. At the same time in Denmark, VMS Group engineers calculated the most appropriate place to cut the engine access in the hull, while the workshop assembled the components for the engine. 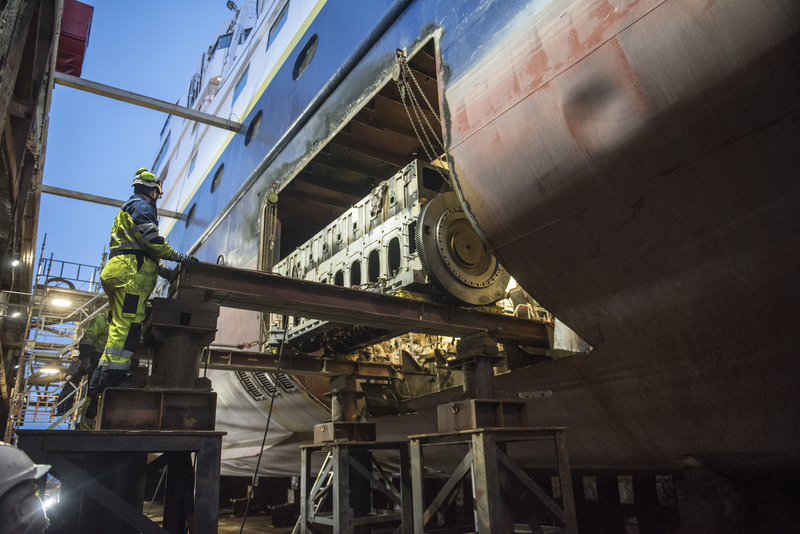 When the vessel arrived in dry dock, the engine renewal work was completed and commissioned and the cruise ship was ready to continue its journey in the Arctic waters after just four weeks. The result was a satisfied owner and a happy ship.